AgCare Products is a family owned and operated business in western NC which offers agricultural supplies to farms, homeowners, livestock operations, horse stables, landscapers, contractors, other retailers, nurseries, Christmas tree growers, row crop producers, vineyards, greenhouses, organic growers and governmental agencies. 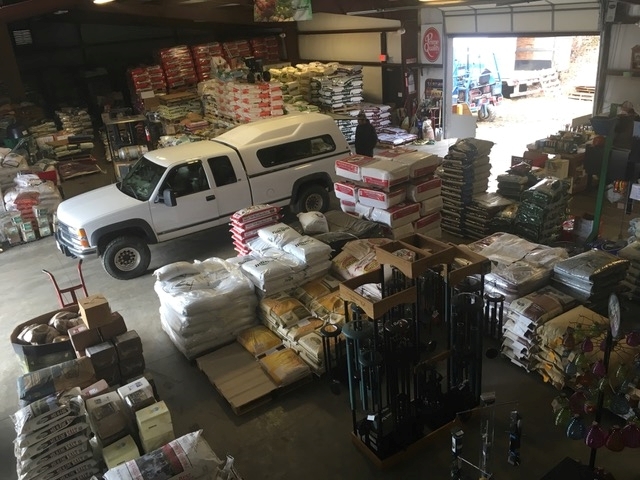 Founder and Owner, Doug Robertson has been in the business of delivering farm supplies and value to the people of NC and surrounding states for the past 26 years. The primary products we distribute are crop protectants, feed, fertilizer, lime, seed, stakes, twine, fumigation plastic, equipment, sprayers, waterers, irrigation, fencing, culvert, water/liquid fertilizer storage tanks, hay wagons and baling supplies but our goal is to help our customers source any farm input needed for their operation. Call (828) 581-4000, email doug.agcare@gmail.com or stop in to see what we can do for you. Buying the best does not require paying the most. Knowledgeable Service and Savings offered here. Big enough to offer value. Let each dawn be to you a celebration of blessings. Farmers conserve our land, our scenery and a way of life for their families and ours. They not only produce what we eat and wear but they allow the rest of us to accomplish all that we do as a result of their daily investments and hard work despite the weather and public opinion. The faith and hope of Farmers are attributes all of us should emulate. ​Park and come in to browse our showroom or breeze through ​our Drive Thru and we will load your items directly in the vehicle rain or shine. From I-40 Take Exit 44. Turn right at end of exit ramp and go .4 miles SW and we are on the right. Receive a coupon for up to $100 off of your next order. Sign up today!